I-49 is complete except for the Bella Vista bypass, and I-49 signs are up from Kansas City to Arkansas. On December 12, 2012, a dedication ceremony was held in Joplin when 180 miles of US 71 in Missouri became I-49!! 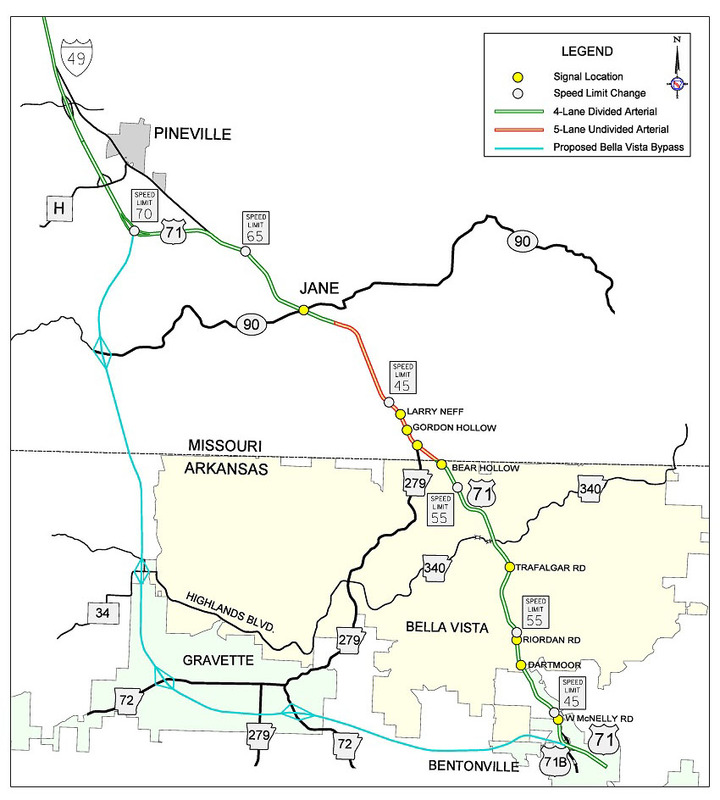 MODOT has partial funding available for the Missouri portion of the Bella Vista bypass and will be coordinating construction with the Arkansas Highway Department. I-49 is not just a highway. It's an economic engine that is already changing communities throughout western Missouri. Click the link below to watch the 12-minute I-49 Economic Development video presentation that MoDOT Southwest District Engineer Becky Baltz gave at the Transportation Engineers of Missouri conference in March.